[Dan]: "And good evening North America, my name is Dan Near. I'm coming to you live from the studios of Q107.... in Toronto, Canada. Along with me is Geddy Lee and Alex Lifeson of Rush. And we're gonna play a bunch of their fine new recording Roll The Bones for the United States and for Canada. Now is that your general understanding guys, of what we're doing?" [Geddy]: "That's what I thought." [Geddy]: "That's what I think.... I think so, yeah." [Dan]: "Well.... how are you doing man? I understand this particular album, Roll The Bones renewed enthusiasm for what you do. Could you take off on that a little bit?" [Dan]: [sounding aloof] "Or elaborate, sure." [Geddy]: "Sure. [Geddy and Dan laugh] Let's go back, I guess, to the end of the _Hold Your Fire_ tour, which was kind of a long and exhausting tour. And I think at that point everyone was getting a bit frustrated, and a little down on touring and.... not very positive shall we say. Then we go to the _Presto_ album, recording of that went very smoothly and things were feeling quite good through that process. And I think it was through the mix, when we were in London, the three of us hanging out together, we started talking about plans for the tour.... the upcoming tour of _Presto_." [Geddy]: "Yeah, doing all the good stuff. And things started seeming more positive than they had in a long time. And that carried on through the _Presto_ tour which was kind of a shorter, more carefully arranged tour. And we had such a good time on that tour that, you know, things started to snowball for us, I think in a very positive way and it carried through making this album. So, I'd say it's very optimistic right now." [Alex]: "I think it's important to note too that we took about seven months off after the _Hold Your Fire_ tour before we started working on _Presto_, which was by far the longest time, by a factor of at least two and a half, that we'd ever taken off before. And it gave us.... "
[Alex]: "Yeah.... two months. Good, very good, very good! And he only used a calculator for that one. He didn't use that.... ruler thing. And it was really important, I think for us to get away and kind of divorce ourselves from everything that we do for a living." [Geddy]: "Yeah, it was really a matter of priorities. We were starting, I think to resent having the band as the priority all the time." [Dan]: "Well.... I guess it worked so well, 'cause from what I understand on this record, you guys cut short your vacation to go record, right?" [Alex]: "Yeah, well we finished this record early. We finished a couple *months* early.... which is unheard of for us." [Geddy]: "Yeah, we actually spent more time writing and rehearsing than we did recording this time, which is.... we still spent a lot of time, we spent about nine weeks writing and rehearsing, and getting ready for the recording part. And we spent about eight weeks recording the album, which was a great feeling to know that all the preparation was worth while." [Dan]: "I definitely think the results are outstanding. Radio has already been hearing this song we're about to play called 'Dreamline.' A couple of lines stand out from this song that maybe relate to what we were talking about, 'we're only at home when we're on the run,' and 'learning that we are only immortal for a limited time.'" [Geddy]: "Yeah I think that, you know, relates to us in kind of a very personal way as to some of the things we were just talking about, but also it's kind of a universal feeling that you have when you're a certain age where you believe that you can do so much and you're kind of invulnerable. That you can, you know, get along on no sleep, you can drive as fast as you want, and you'll be fine, you know, you can get away with murder. And there comes a certain point in your life where you realize that you are *vulnerable*." [Dan]: "Well.... let's take a listen to some music here, all right? Let's take a listen to 'Dreamline.' Live from Toronto.... this is the CD Launch for the new one from Rush, Roll The Bones. Now hop in everybody, somebody in the back seat here has got a road map of Jupiter.... and this transportation is the best yet. 'Dreamline' from Rush." [Dan]: "All right.... that is called "Dreamline" from the new CD from Rush.... Roll The Bones. Were you ever concerned about the title of the album at all, that people would get, like the wrong meaning from it? Because bones refers to.... [sound of dice being shaken] the dice, right?" [Dan]: "Okay. You were never concerned about.... "
[Geddy]: [interrupting] "What do you mean.... Dan?" [Dan]: "Oh.... [laughter all around] I'm going to walk away from this question, and get on to another.... "
[Geddy]: [softly] "I don't know what this guy is talking about.... "
[Alex]: [deepening his voice] "'Honey, when you're done with that chicken, can you roll those bones?' Like, what do you mean?" [Dan]: "Yeah, that's what I meant, yeah. Is Rush feeling immortal at all these days? I mean with that new sense of enthusiasm, or is this.... would the.... ?" [Geddy]: "I wouldn't want to go out on a limb and say that. But I'd say we're feeling pretty good, pretty positive." [Dan]: "Yeah, pretty psyched to get back out there again." [Dan]: "Good, good. I really feel that the album is such a strong one we just gotta keep moving through these songs here. 'Bravado' is a song that.... it's relatively in a normal, stable time signature. Is that true.... do you know?" [Alex]: "Actually, I don't think there is." [Geddy]: "I don't really feel comfortable unless there is one bar of seven. In case you're tapping your foot and you accidently.... "
[Dan]: "No, it's a terrific song. And there's a line repeated throughout it called 'we will pay the price, but we will not count the cost.' Now I understand this line was taken from a novel.... Neil read. Is that true?" [Geddy]: "It could be. He didn't tell me about that. Did he tell you about that?" [Dan]: "You guys don't.... "
[Dan]: ".... discuss.... the secrets there?" [Alex]: "He faxed us the lyrics, and we fax him the music." [Dan]: "I see it's that personal way of writing." [Geddy]: "Yeah, it's a personal touch. [more serious] No, I don't know where inspiration came from.... for that song." [Dan]: "Neil had wrote a little piece called 'Row The Boats' and on it he said that's from a book by John Barth called _The Tidewater Tales_." [Dan]: "What would that line mean to you? I mean, 'cause Geddy, you have to sing these lyrics and 'we will pay the price but we will not count the cost?'" [Geddy]: "That's a pretty emotional song for me. It's one of my favorites that I think we've ever written. Just because it's quite a change.... it's quite a different song on the album. It's stands out on the record as being a different texture than most of the other tracks. That line to me says really says so much about the people, really that move the world, you know, the people that go out there and do what has to be done. And they're not worrying about what it's going to cost them personally down the road, they're doing what has to be done, and they're prepared to pay the price for it without worrying about.... the payment that comes later." [Dan]: "I guess in the vernacular it could be like, 'Go for it, dude!' or something like that." [Geddy]: "Yeah, 'Don't look back.'" [Dan]: "Right. Now the song is, like you mentioned, emotional and your guitar work is just that building sort of anthemic feel to it. Did you learn something new from playing guitar on this particular record? I mean, do you learn something new about your instrument this time out?" [Alex]: "I don't know if I learned anything new, I think I felt a little freer [more free] in the guitar arrangements in the way that my guitar parts have developed on this record. That song, for instance, is a very simplistic approach from the beginning and it, as you say, builds throughout the course of the song. But it builds in very simple steps. I've think I've found that you can get a lot of mileage from that." [Dan]: "I would agree this song really has a lot of very powerful emotion in it. Let's take a listen to it right now. This is called 'Bravado'. And live from Toronto, Canada it's the new Rush CD, Roll The Bones." [Dan]: "That's 'Bravado' from the new Rush release.... Roll The Bones. And a tip of the hat to the folks that are out there doing the good things for all of us, that we need more and more of them, I'm sure. The title piece of the album, 'Roll The Bones'. I guess this is what would be called a.... you know the album, I don't know whether you do this intentionally but it's sort of follows a theme of.... life being unpredictable, there are no set answers, take a chance, do what your heart says. Do you agree with that?" [Dan]: "Okay, let's leave now." [Geddy]: "That about raps it up." [Dan]: "Thank you America, thank you Canada. See ya'. [regaining composure] This is Rush doing sort of a gender-bender sort of thing. You got a *rap* in this song." [Geddy]: "Well, we like to call it a 'spoken word piece.'" [Geddy]: "Or as they say in England -- it's a.... *chat*." [Dan]: "That's your producer teaching you that stuff. I know that.... Rupert Hine. Now, my guess was that Rupert did the rap, but you explained to me no, that's not." [Dan]: "Are you going to let us in on who did it?" [Alex]: [interrupting] "I did it." [Geddy]: "Maybe one day. I think it's a fun tease for a while." [Dan]: "And you're just like one of those tease sort of people." [Dan]: "Yeah, okay. One thing I do love, especially about this particular record is the way you bridge the different styles there. It just seems to flow very gracefully.... throughout all those different styles." [Geddy]: "Well that's good, 'cause that's the something that we were a little worried about. Because this song has just about every style we could think of thrown in there. It seemed right to do it. We went backwards and forwards as to how to approach it, whether to make it all feel more continuous, or to play up the differences in the sections, but in the end I think we struck a balance." [Alex]: "Yeah, I would agree. Our concern was that it was too fragmented, I think. After we wrote it we were quite excited about it, and I think we got away from it for a little while and listened to it, and thought, 'Uhh, this song is pretty stupid. [Geddy laughs] We better hang on a second here.' But I think like Geddy says it's knitted well together now. We've managed to.... "
[Geddy]: "Yeah, and it's really become my favorite that we've done in a long time." [Dan]: "I think this is fabulous, and I can't wait to lay it on North America here. So, why are we here?" [Geddy and Alex]: "Because we are here." [Dan]: "So let's roll the bones, huh? Let's go! ['Roll The Bones' starts in the background] Pull out your dice, and.... shake 'em! [laughs] This is called 'Roll The Bones.' Live from Toronto, it's a CD Launch for Rush." [Dan]: "'Roll The Bones', a song from the album of the same name. We'll be back with more. Live from Toronto with Geddy Lee and Alex Lifeson when our CD Launch rumbles on back here." [Dan]: "Welcome back to our CD Launch for Rush's Roll The Bones. I'm your excellent host, Dan Near." [Geddy and Alex]: "Party on!" [Dan]: "A list of a bunch of your old songs.... numbered. [sound of dice being rattled] And each of you are going to roll the dice.... like one.... "
[Dan]: ".... one die each.... "
[Dan]: ".... add them up together, and the number that comes up that corresponds to one of your songs, that's the song we're going to play. Okay, so.... "
[Geddy]: "It's like a trick." [Dan]: "So, yeah. So, Geddy you've got the cup there, why don't you.... let's see if we can use this mike." [Dan]: "And it goes on to the floor.... and under Alex's chair. And.... anyone see that number over there?" [Alex]: [away from microphone] "Yes, it's um.... "
[Alex]: [away from microphone] ".... Seven!" [Dan]: "Seven! [laughs] Okay. No. It's a.... "
[Alex]: [away from microphone] "Five!" [Dan]: "It's a five, okay." [Dan]: "Alex, do you think you could try to.... "
[Alex]: "I'll use my mike." [Dan]: "Okay, that comes up with a four. So five and four.... I can add quickly.... and that makes nine, and that corresponds to.... "
[Alex]: [interrupting] "By a factor of.... "
[Dan]: "And that corresponds to.... 'Subdivisions', okay from _Signals_. So, anybody want to introduce this tune?" [Geddy]: "Alex, would you like to introduce it, or shall I?" [Geddy]: "As opposed to 'fake life' that we're in.... "
[Alex]: "That we're in.... that's exactly right." [Geddy]: "Well, 'Subdivisions'.... from the _Signals_ album. ['Subdivisions' starts in background] I can't remember what year we wrote it." [Dan]: "I believe this is 1982." [Geddy]: "1982.... one of my faves!" [Alex]: "Who's introducing this song, anyways?" [Geddy]: "I think we all are." [Alex]: "Well, in that case.... "
[Dan]: "Let's just do this, okay? [laughing] We are live from Toronto. This is the CD Launch for Roll The Bones, but this one.... from _Signals_ is called 'Subdivisions.'" [Dan]: "That was 'Subdivision' [sic] from _Signals_ by Rush; a song we picked by rolling the bones." [Dan]: "Just like life. It's something you do by chance. Roll The Bones is the title of that new collection of songs by Rush and right now I think we should get back to that.... because this is the matter at hand here. The next song we want to get to is an instrumental. [emphatically] Now you guys haven't done an instrumental, I think since.... YYZ, right?" [Geddy]: "Or as we say here in Canada.... "
[Dan]: "Is that.... Is Canada changing it's habits." [Geddy]: "I didn't realize we were a 'zee' people." [Alex]: "Yeah. The schools now.... [groans]"
[Dan]: "Well, first of all, I want to mention that Rush again has broken new ground here because apparently the sub-title of this tune, it's called 'Where's My Thing (Part IV 'Gangster Of Boats' Trilogy)'. So Rush has broken brand new ground by finding the fourth part of a trilogy. I didn't think it was possible." [Alex]: "Well normally most people don't write the fourth part of a trilogy, so we thought we would." [Geddy]: "Because most people don't realize you can have a fourth part to a trilogy." [Alex]: "Yeah, it goes to fourth." [Dan]: "Oh! Simple as that. [laughs] Okay, obviously you two wrote this song. [laughs, and regains composure] Umm.... it's a fine, fine piece of music, and it's kinda like.... you guys didn't intend it this way, but it's almost like showing off the way you guys play. I mean it's just amazing..... "
[Geddy]: "That's 'cause some guy told us that's what you're supposed to do in an instrumental. [Dan laughs] So that's what we.... kinda did." [Dan]: "Was there any particular reason why you chose to do an instrumental or is it kinda just.... ?" [Geddy]: "It's so much fun to do, too. We tried to do one on Presto.... and every time we started writing it, you know, we played this piece of music and be like, 'Oh. This lyric fits perfectly with it.' So we'd go off, we'd steal from the instrumental and it would become another song. And it kept happening over and over again. And finally Neil said, 'Okay. You keep promising to do this instrumental, and I'm not giving you any more lyrics until you write the thing.' So we sat down and wrote it." [Alex]: "Actually this whole album is an instrumental album. [Geddy and Dan laugh] But then we added some words." [Geddy]: [laughs] "We added some words." [Dan]: "And hence it's got that instrumental underlying." [Dan]: "Very good, very good. So kind of like a planned whim." [Geddy]: "Funky as Canadians can get, I suppose." [Dan]: "No, but it really is. It's a dynamic piece of music. Is there any chance that I can get a copy of the 'Gangster Of Boats' part one through three?" [Alex]: "Sure. You can have them for sure." [Geddy]: "You can have 'em." [Dan]: "Let's take a listen to this because it really shows the musical virtuosity of the band.... Rush. ['Where's My Thing' starts in the background] All right, this is live from Toronto, Canada from the new Rush CD Roll The Bones. This is one with no words, just keep thinking, 'Where's My Thing?'" [Dan]: "Yo.... wow, that is some very intense music there. Rush, from the new one, Roll The Bones. A great instrumental that does ask the musical question.... 'Where's My Thing?' [laughs] Okay. We'll be back with more of our CD Launch with Geddy and Alex, so hang out!" [Dan]: "Welcome back United States and Canada. We're live from the lovely, lovely city of Toronto, along with Alex Lifeson and Geddy Lee of Rush. I'm Dan Near. Now, you guys thank CNN on this album, and I do believe you've done this before. Were you watching them when they were in Moscow last week?" [Alex]: "No.... actually we were here. But we watched a lot of them during the Gulf Crisis." [Geddy]: [softly] "That's why the credit.... "
[Dan]: [interrupting] "They often inspire, I guess, some music and lyrics, huh?" [Geddy]: "Well, I mean, I don't think that.... particular thing, you know, inspired anything on this record. I just seemed that a lot of stuff was going down that was hard to leave the television set during the writing and a couple of the songs on the record were, I guess, kind of worldly in what they were describing. It seemed quite, I don't know, like they fit in some weird way." [Dan]: "Right. Well, the next song I want to talk about is called 'Heresy'. And it does, even though obviously these events happened last week, it ties into the song. Because the song asks the question, 'All those wasted years, all those precious wasted years. Who will pay?' And from reading what Neil has written about this song he was saying.... he was talking about the fall of all the Communist governments in eastern Europe." [Geddy]: "Yeah, absolutely. That horrible and wonderful moment all mixed into one when somebody realizes that they've been, you know, had their freedom removed for so many years, and they finally get it back. It must be such a bitter-sweet moment. All those years.... all those lives that were lost and all the struggle, all the people that were fighting, all the years, and suddenly.... it's all over. And what do they do about all the people that did not survive, who were not lucky enough to be around when the wall fell down. It's an unanswerable question, but it's certainly one to think about." [Geddy]: "Yeah. [Geddy laughs, imitates Rodney Dangerfield] Times are tough, let me tell ya'." [Dan]: [laughs, also imitating Rodney Dangerfield] "Oh, it's rough." [Geddy]: "It's very topical, obviously because of what is going on right now, and it was.... I think that's a culmination of that whole movement." [Dan]: "And not only from their side of the coin, but think from our side of the coin. I don't know if it was like this in Canada but as I was growing up.... the fallout shelters, there was..... "
[Alex]: "The exercise to get under the.... "
[Geddy]: [interrupting] "Duck and cover." [Dan]: "All that strange stuff just for a misguided ideology." [Alex]: "That in a few days is finished. It's just so, so incredible." [Geddy]: "Everything is okay now. Don't get bitter, or don't be upset.... it's all.... "
[Alex]: [speaking with a thick Russian accent] "We was just joking. [Geddy and Dan laugh] It's all big joke. Heh, no sense of humor around here." [Dan]: "I personally took my statue of Lenin down too. [laughs] Let's play the song 'Heresy' as we think about our brothers on the other side of the world struggling for their freedom. 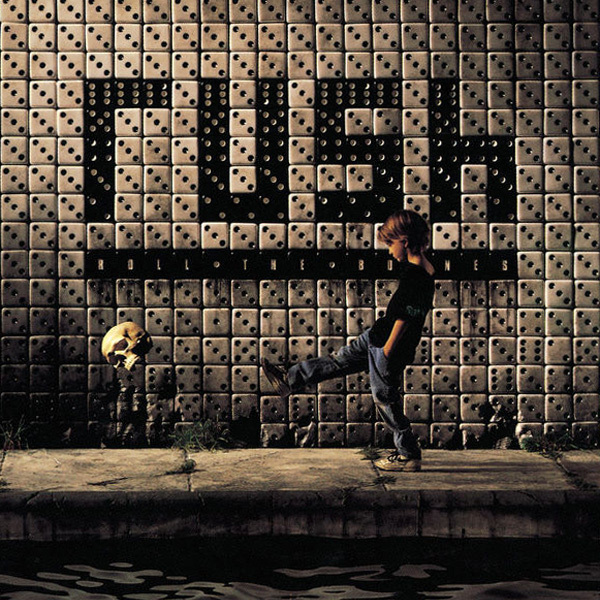 Take a listen to this one from Roll The Bones by Rush. It is called 'Heresy.' ['Heresy' starts in the background] And live from Toronto it's a North American CD Launch." [Alex]: [humorously] "Was that John Lennon?" [Dan]: [interrupting the very end of the song] "And the drums sort of goes from that, I guess, more tom-tom oriented one to the snare, military sort of feel. Now Geddy, I saw you listening to that one. Were you enjoying that quite a bit?" [Geddy]: "Yeah, I was actually. I haven't heard that in quite a while, and it was nice to listen to it, the headphones, and get lost in it." [Dan]: "I really like what that song says. 'Must we be forgiving at last?' I guess we, I guess we should." [Dan]: "Yeah, okay. 'Heresy' from Roll The Bones. Now we're going to be back to hear, I guess part of one final song when our CD Launch docks again." [Dan]: "I'm glad you came back with us for the final portion of our CD Launch. We've just been having so much fun that we really don't have much time, and I guess we're not going to get to this final song I wanted to get to. Obviously, Rush is gonna get on the road, or is this not obvious?" [Alex]: "Yes.... no, we'll be out.... "
[Alex]: ".... in the second.... half or possibly the.... last third.... maybe even the last quarter of October." [Geddy]: "On or near that date." [Dan]: "Yeah. You're going to start the tour, I know, in Hamilton, Ontario October the 25th." Alex: "That's right." [Dan]: "Then you're heading for the states, and then.... 'bout how long.... you're going to go for?" [Geddy]: "As long as we can." [Dan]: "Okay. Well, I think.... I like to thank both of you." [Dan]: "Yes. I'd like to thank you, Alex. I'd like to thank you, Geddy." [Dan]: "I think Roll The Bones is a wonderful piece of music, and we all look forward to having you out on the road." [Geddy]: "Thank you. Well it was great to be here.... to talk to you." [Dan]: "We'd also like to thank Ray Danniels and Kim Garner of SRO Management Inc. Judy LeBeau, Perry Cooper, and Vicky Germais of Atlantic Records. Steve Warden, Rob Enders, Joey Vendetta, and Gary Widden at Q107 here in Toronto, and the Rock Radio Network. In Canada we thank Richard Mark of CelTek. And from IDB Communication thanks to Jill Jamison. This CD Launch was produced by David Bales for Near-Perfect Productions and Media America Radio. This show is brought to you by the letter 'A.'" [Geddy]: [softly] "Party on dudes!" [Dan]: "The executive producers are Duart Nelson, Ron Hartenbaum, and me, Dan Near. We're live from Toronto saying Mohalo.... Aloha!"